If there was ever a time to start a school garden, that time is now. Chances are extremely good that you’ve heard something about the plight of the monarch, trying to survive in an age of climate change, habitat loss and Roundup. In healthier years, the charismatic minifauna overwintered in as many as 45 acres of Mexico’s oyamel fir forest. This year the monarchs are occupying a space a little larger than that of a football field. 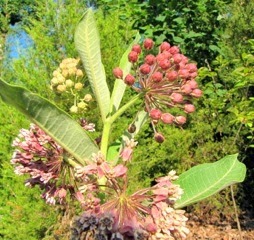 The overwhelming response from monarch advocacy groups has been an exhortation to start planting milkweed in school gardens and to plant as much of it as possible. 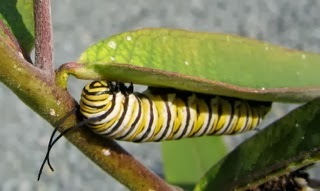 Monarch caterpillars eat only the leaves of milkweed plants; monarch butterflies feed on the nectar of a number of flowers, but will breed only on milkweed. The monarchs desperately need the expanded habitat, and their black-and-orange color scheme is readily identifiable by students of any age. By studying the monarch, students can delve into many aspects of science: life cycles, migration, food chains and webs, mutualism, adaptation and more. When it comes to wrapping lessons around the monarch, there’s no lack of online teacher resources and research project ideas.